Sick and tired of your stuffy nose and itchy, watery eyes? Hate missing out on the beautiful days at the beach because with spring and summer months come your infamous allergies? You’re not alone. There are many different types of allergy medicine that are available out there now and many claim to be the best, but which really are? There are many types of allergy medicine. Some are over the counter and some are prescription strength. First, we’re going to explore some over the counter medications. 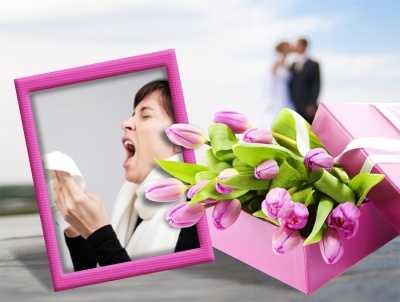 First generation antihistamines are the primary types of medications created to deflect allergy symptoms. These medications work well, but sometimes have some harsh side effects such as drowsiness or fatigue, which make it that much harder to take them on a regular basis. If you’re looking for an all day allergy medication, go with a second-generation antihistamine. These drugs don’t necessarily “knock you out” like first generation allergy medications, but beware - they do cause a weak form of sedation in some people. These medications are also highly effective, but unlike their predecessors, they can be taken regularly. There are forms of long-term second-generation antihistamines, which may be worth looking into if you have harsh allergies. There are many other types of allergy medicines - leukotriene modifiers are one of them. These leukotriene modifiers are used for both allergies and asthma because they often go hand in hand. Luekotriene modifiers are generally inhaled - either nasally or by mouth. The modifiers prevent leukrotienes from entering the system. Leukrotienes are substances that are released by mast cells and cause inflammation. They’re the reason why your airways tighten during allergic reactions or asthma attacks. Leukotriene modifiers are very effective in preventing allergies. Homeopathic medications are another form of great allergy fighter. Homeopathic medicine is taken orally and is also known as sublingual immunotherapy. The drug contains small amounts of allergens, which make your body almost immune to the allergens over time. Acupuncture is also a method that seems to rid your body of some allergic reaction symptoms. Acupuncture is the process of inserting and maneuvering fine filiform needles into explicit places on your body in order to relieve pain or allergy symptoms. There are also herbal medications that have been said to help with the side effects of an allergic reaction. Common ingredients in these are Stinging Nettle, cellulose, gelatin, and maltodextrin. Using a wide spectrum nutrition program like the Herbalife programs will often allow you to improve your overall wellness and in the process your body's ability to resist the trigger factors that trigger your allergy will improve. This is something to investigate if you are looking for an answer that avoids use of medications all together. Whichever allergy medicine you decide is best for you, be sure to take them in moderation. Play it safe and enjoy your spring and summer months allergy free!